The U.S. Small Business Administration (SBA) North Florida District recently announced the winners of SBA’s 2019 District and State of Florida Small Business Week Awards. 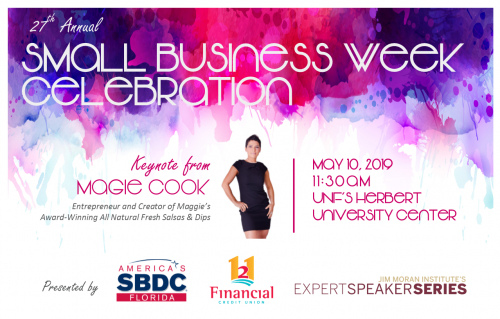 The 2019 Small Business Week Award Winners will be recognized at the Annual Small Business Week & Lender Awards Celebration (hosted by the Small Business Development Center at University of North Florida) on May 10, 2019. Tickets and more information about the awards are available at the SBDC at UNF website. Fiscal Year 2018 Top Lenders will also be recognized at this event. Orlando area winners will be recognized at a private event hosted by the SBDC at the University of Central Florida. For more information, visit www.sba.gov/northflorida.